Hey everyone! I'm still alive, and let me tell you, sooo very thankful!! My dad (who is a ski instructor) had a pretty fast collision with a tree about a week and a half ago, and I hopped on the first plane out of Texas up to chilly Vermont. Eleven of the 12 ribs on the right side of his body are broken...some of them multiple times. He had surgery to plate some of the ribs back together, and I'm happy to report, is now back home resting semi-comfortably as the healing process progresses. I spent all of my time at the hospital with him, and I really am so thankful to the doctors, nurses, and staff there that took such good care of him. Enter my card created for one of the nurses there in the ICU who spent a lot of one on one time with us, and even me! I want her to know how thankful I am for her dedication to her job, patients, and the families involved. What a wonderful woman she is! 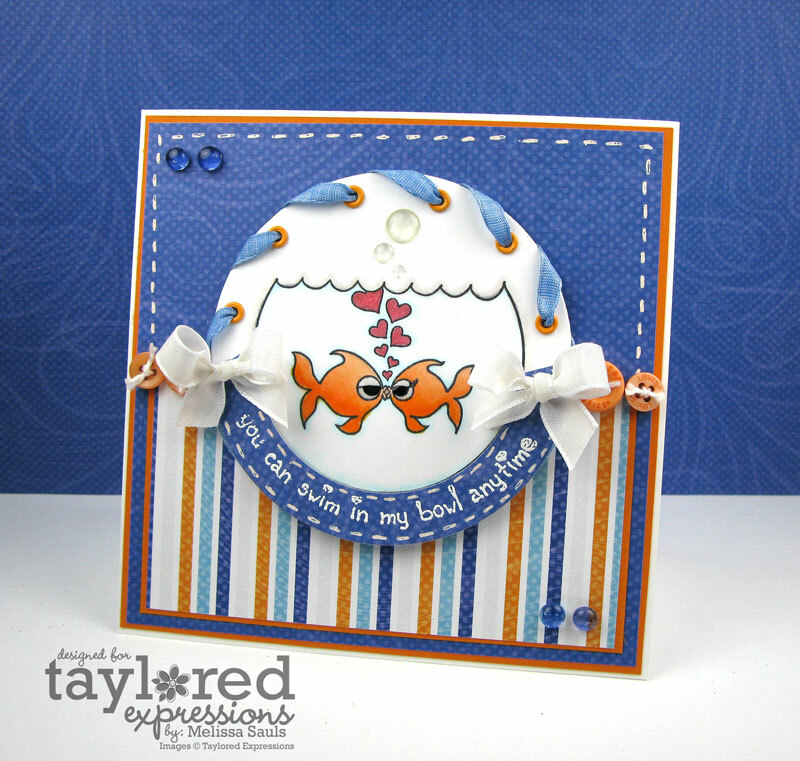 Taylored Expressions is the sponsor over at the CPS Challenge blog this week, so I was happy to play along. 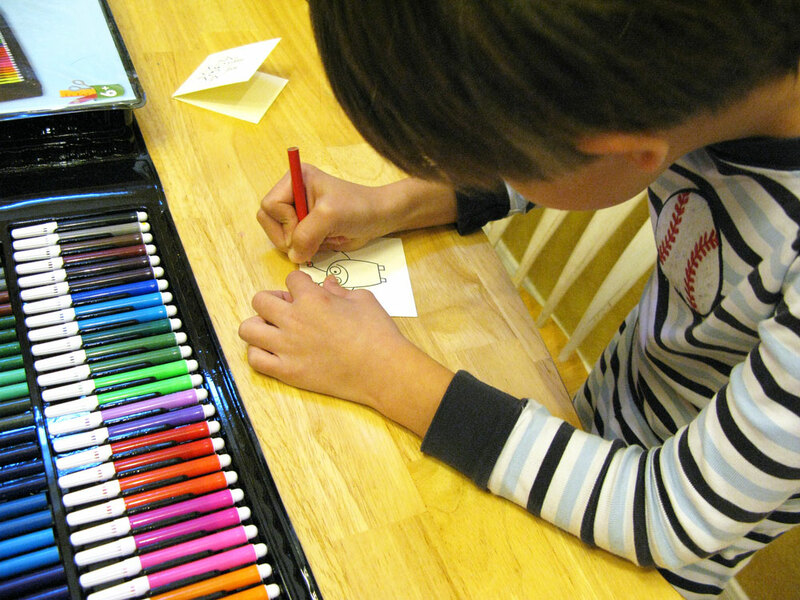 And if you play along as well, you could have the chance to win some fun prizes...just make sure to submit a picture of your project over at the CPS blog link HERE. I wanted a really bold sentiment to express my thanks, and the "Thankful" from the Thankful stamp set fit the bill perfectly! Even though the set has fall images, its so nice to still be able to use sentiments from it all year long. :) I chose papers from one of my most favorite patterned paper line, October Afternoon's Sidewalks and I stamped my sentiments with Memento Tuxedo Black. Pretty simple and straightforward card and I hope that she just loves it! 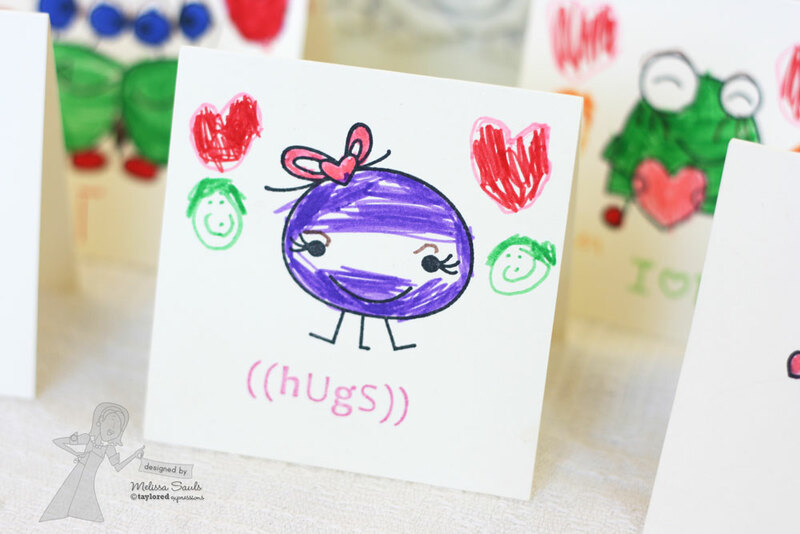 Plus, this is a great card to easily mass produce for more thank you's!! Thanks for visiting, I promise to be back with another post soon! School started last week and it's already CRAZY!! Hey everyone! 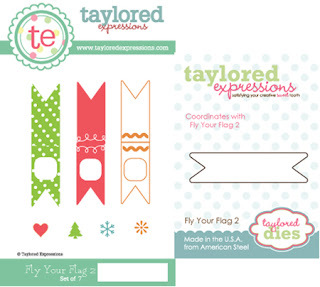 I'm excited to be introducing a new challenge for Taylored Expressions using all of the new calendar products in conjunction with TE stamps and accessories!﻿ Today I am using the Perpetual Occasions Calendar, and I'm so excited to be using it. I'm absolutely horrible with birthdays and this will be a great handmade treasure I can keep to remember what special occasions are forthcoming. 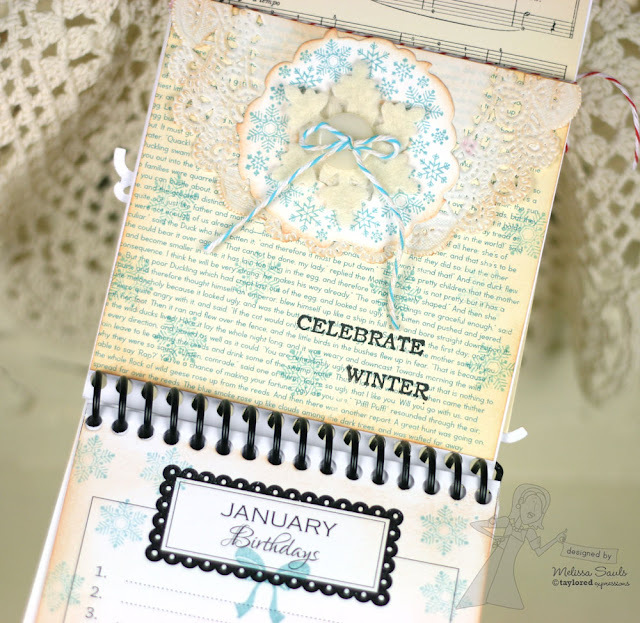 I used the Snowflake Wreath stamp set...perfect for January snowflakes!﻿ I stamped it with Baja Breeze ink and then die cut it out with the coordinating Seasonal Wreath die. Let me tell you, this was a perfect fit for these smaller sized "title pages." Oh! I also die cute a felt piece with one of the Winter Wonderland Snowflake dies. Very cute in person I swear! Snowflakes were then stamped all around the borders of the page. Now you will definitely want to stop by Taylor's Blog for more details on the challenge, because there is a pretty AWESOME prize for playing along with us! Good morning everyone! It's release day at Taylored Expressions!!! All of the stamps and accessories that you have been sneaked with all week are finally available in the store this very minute! I have one last bit of projects to share though, so bear with me for just a little bit longer before you blog hop and shop! 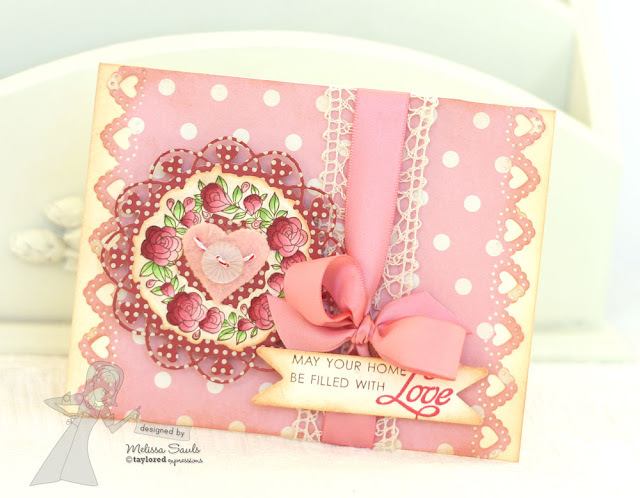 This card features the latest addition to the wreath series, the Rose Wreath. Isn't it positively lovely?! I used elements from the Valentine Project Pantry to put my card together, but I definitely added some new elements in the mix! See that adorable cut doily behind my wreath? That is one of the new elements to the Layering Doily Die!! There is a special discounted price for all 3 of the dies, or you can purchase separately, and the one that I used was the Layering Doily Die Medium. I also used the new coordinating die from Fly Your Flag 2 from last month's release! It made the perfect sized banner for my sentiment. Oh! 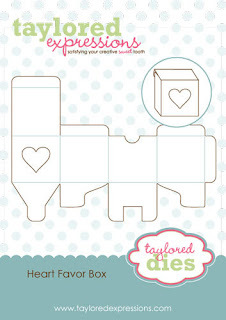 My pink felt heart was also die cut from the newest die released today, Hearts a Plenty. 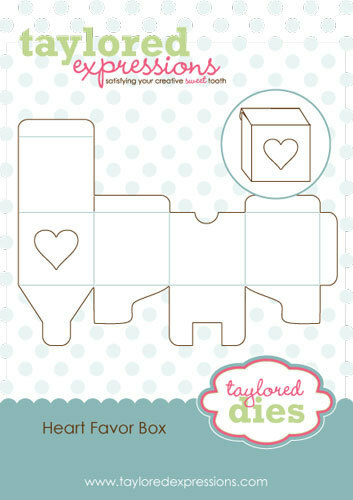 I LOVE LOVE LOVE this die and I know I will use it year round...love the negative image die too! 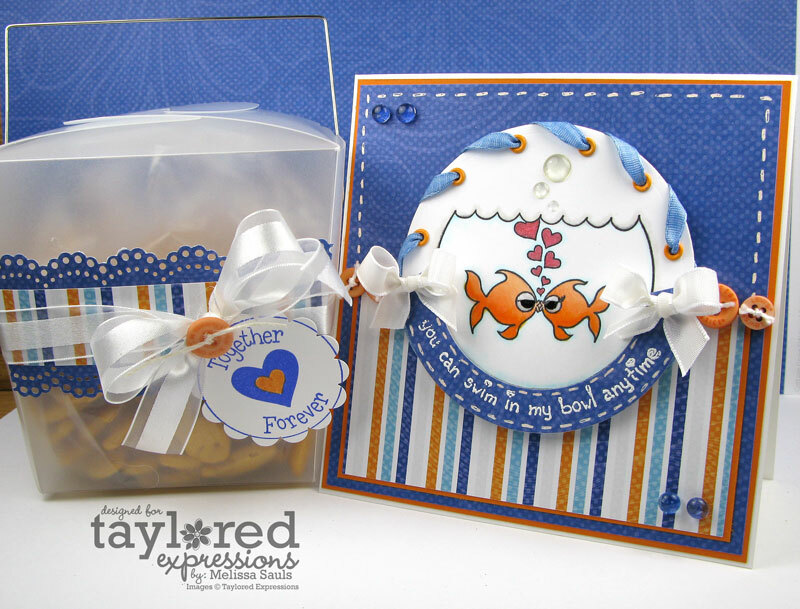 Buy one Animals in Love A la Carte and get one free/Select calendar products 50% off/Layered Doily Dies Special - get all the details on our January Release Specials by clicking here. Hey everyone and welcome back to Day 3 of the sneaks...leading up to the big release just tomorrow morning! Are you getting excited to see more sets and to shop tomorrow morning. Valentine's will be here before you know it...you saw how 2011 just flew by, right?! So today we are sneaking 2 new full sized sets as well as 3 more a la Cartes. Let's start with an a la Carte, shall we? 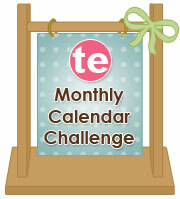 :) Last year TE released Animals in Love a la Cartes, and since they were such a big hit, TE is releasing 3 more today! 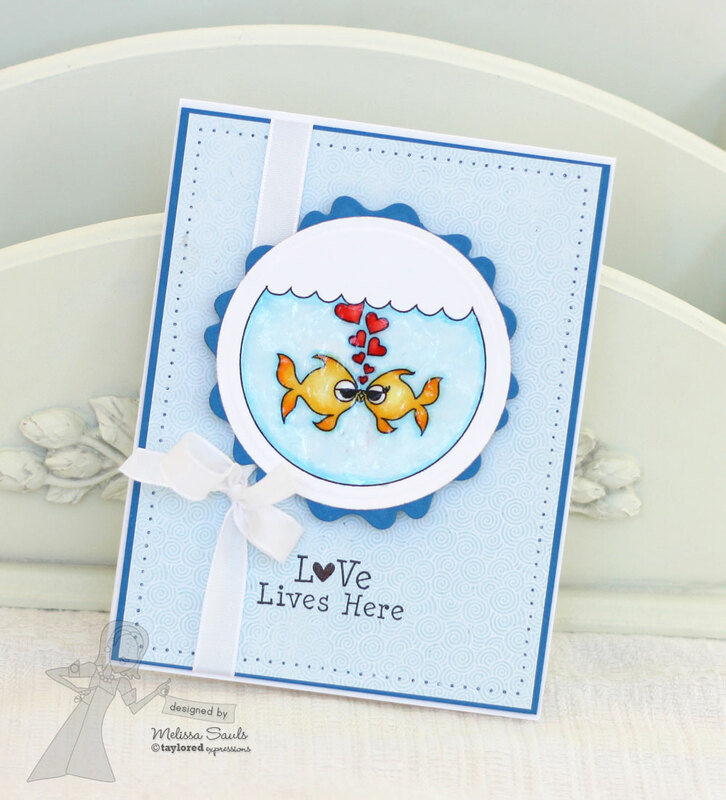 I get to share one of the oldies but goodies, Fishes in Love. :) You may remember this project I did with them last year. Ack! It's still so cute this year!! 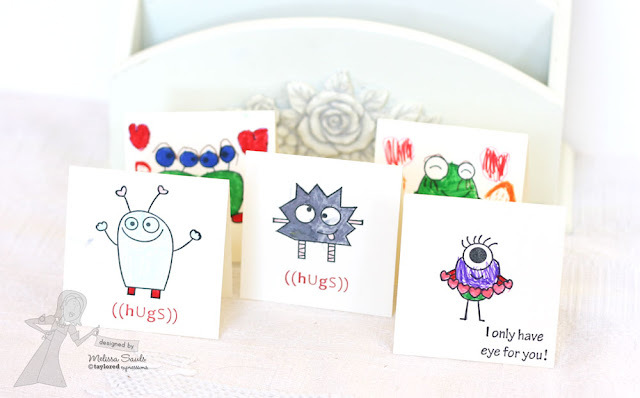 The newest a la Cartes are, once again, illustrated by the super fabulous Nancy McKinney for her Whimsical Wishes line of stamps. Would you like this a la Carte for FREE?? 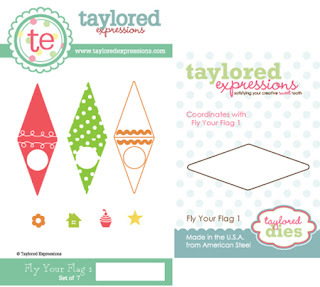 Make sure to stop by Taylor's blog for the details on that, and also make sure to hop around so you can get a peek at the ADORABLE new additions! Now, I love having the kiddos work on their own Valentine's...just like I did last year. And boy did they LOVE working on their Valentine's this year! They played with one of the newest full sized sets, Love Monsters. They worked diligently on their masterpieces...and as a matter of fact, my daughter Catie has created about 10 more since then, lol! 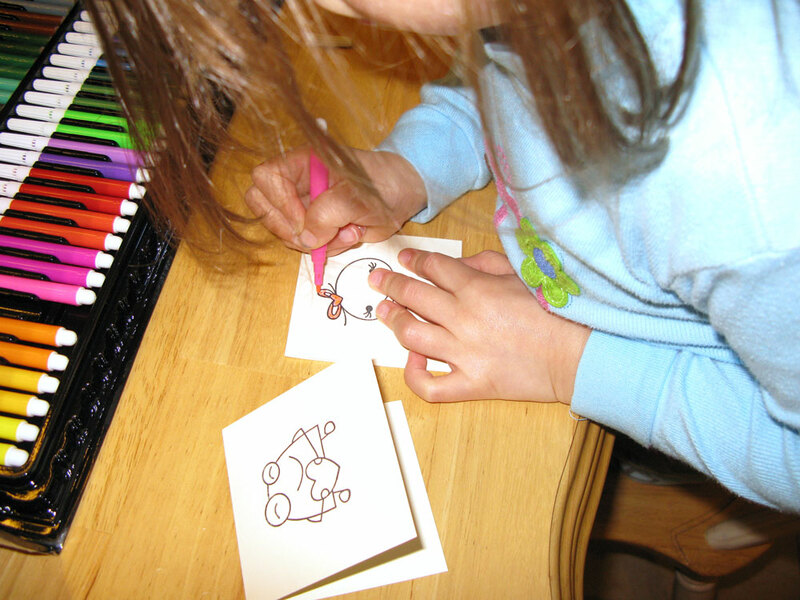 She LOVED doing this project! So there was a lot to share today and I hope you enjoyed what you saw! Please hop around the Bakers blogs to see more! Hey everyone! I'm so glad that you are back for Day 2 of sneaks, building up to the big release this Thursday, January 5!! Did you get just a little bit enticed but what you saw yesterday? I certainly hope so, because we have even more to share today! Today we are sneaking 3 new stamp sets...1 Mini set and 2 Petites. The one I have to share with you today is from the adorable Mini set, Love Shack. This set is actually the first in a series of sets (concepted by our very own Jami Sibley) illustrated by Doug Applegate for his Apple Doodle Ink line of stamps. 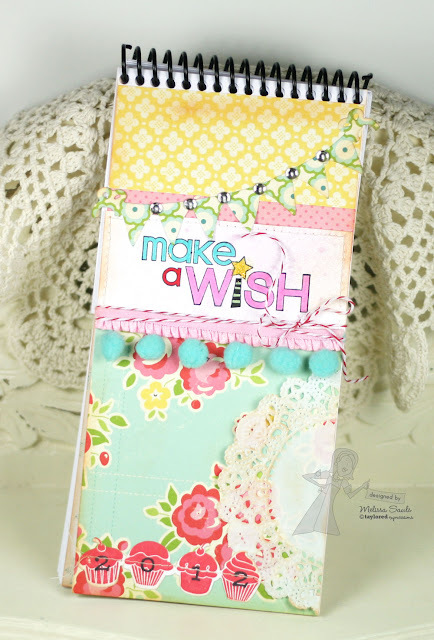 This set features a cute abode and adorable accessories and sentiments to go with it. There are 9 images/sentiments, perfect for cards, scrapbooking, and the TE Calendar Products! As always, TE stamps are deeply etched rubber mounted on EZ mount, completely ready for your clear acrylic blocks for stamping! And if you want to dress it up even further, there are plenty to choose from from the Spice it Up Ingredients! This month, the TE release has a focus on Love, and let me tell you, Valentine's is one of my favorite holidays for the year. Oh who am I kidding? It's another excuse to eat more candy and chocolate, LOL! Anyway, I am featuring the new a la Carte called, 1 Corinthians 13:13. I just adore this verse. It can definitely be used for any kind of projects beyond just a nice Valentine sentiment. 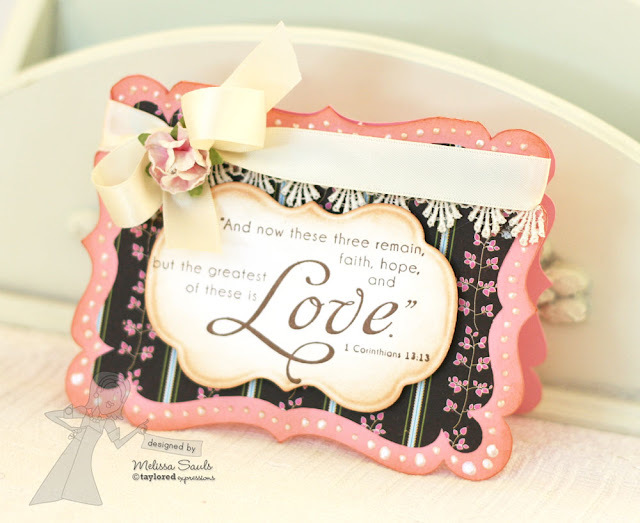 The font on "love" is so delicate and pretty and I love how large the entire stamp is...just perfect as a focal point! 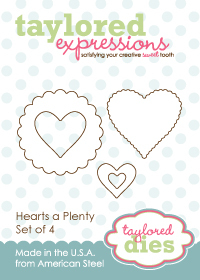 This a la Carte comes to you from the Lasting Impressions line of stamps. I stamped the verse on Choice Buttercream cardstock with Rich Cocoa Memento Ink and then die cut with Labels 14. The patterned paper came from the lovely Authentique Splendid Bundle. 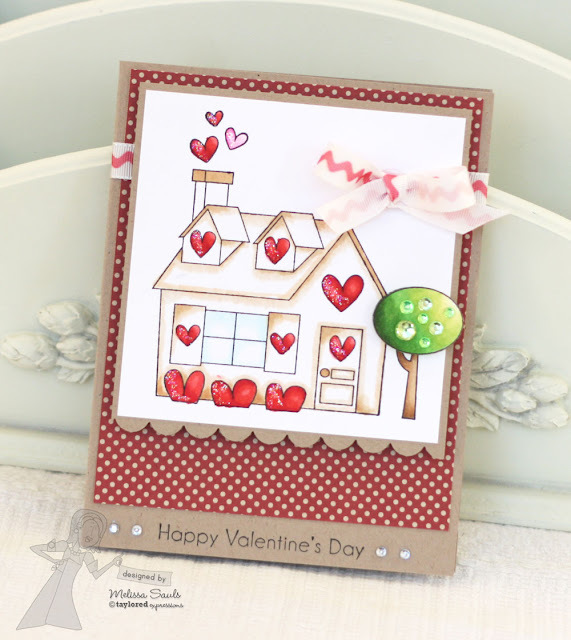 I also got inspired by Sankari, and used a Cream Viva Decor Pearl Pen to make accent dots all around my card. Don't laugh...I haven't mastered dot making yet, LOL! So that is all that I have for you today, but be sure to see all the various projects we have to offer you!